Onbux in ye olde mowrnings: James Joyce. The Day of the Rabblement. - Dublin: Gerrard Bros, . James Joyce. The Day of the Rabblement. - Dublin: Gerrard Bros, . 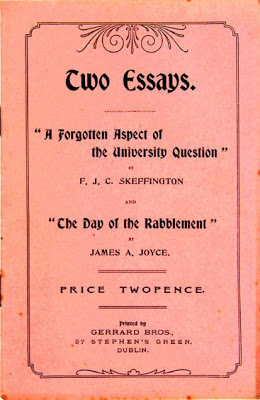 Two Essays : A Forgotten Aspect of the University Question / by F.J.C. Skeffington. 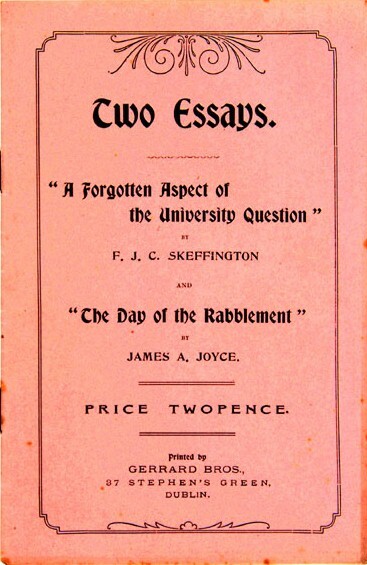 The Day of the Rabblement / by James A. Joyce. Dublin: Gerrard Bros, . - 8 p. ; 8º. - Tiraxe: 85 exemp.